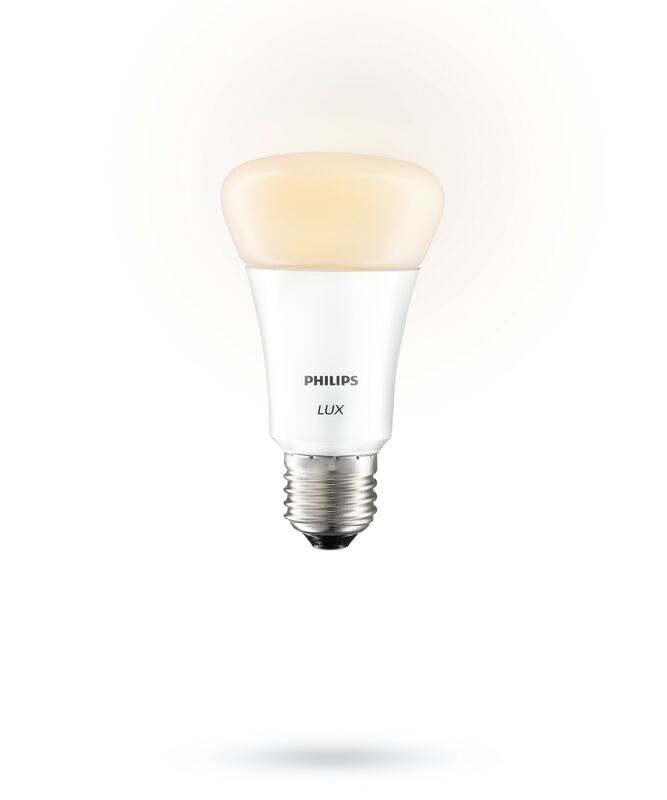 Amsterdam, The Netherlands – Royal Philips, the global leader in LED lighting, today reveals the world’s first 3D-printed connected luminaires, a design addition to the expanding Philips Hue range. Fusing the worlds of light, art and technology, these luminaires allow limitless light effects, bringing a piece of art to your living room. The innovative Philips Hue 3D-printed table & pendant luminaires were co-created with globally-renowned design teams WertelOberfell and Strand+Hvass. The luminaires will be on display at the Philips Forum at Light and Building show in Frankfurt from 31st March – 4th April 2014. With Hue, a simple finger swipe on your smartphone or tablet lets you create infinite personal light effects from a palette of over 16 million colors, shades of white and programmable light scenes. You can turn your Philips Hue 3D-printed luminaires into stunning features such as illuminating the luminaires to tune in with the setting sun, by connecting it automated internet services*. “3D printing provides more freedom, control and even personalization when designing lighting products. There are fewer boundaries for creativity with Philips Hue as there are unlimited options to generate any mood or lighting effect. Combined, we have created the most advanced, digital (even futuristic) technologies for a functional, emotional and unique object,” comments WertelOberfell designer Jan Wertel. “The expression of color produced by Philips Hue adds an element of surprise that’s magical and mysterious, creating a sense of wonder,” explains Strand+Hvass designer Niels Hvass. 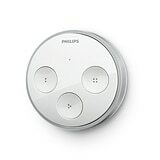 Fully compatible with the expanding Philips Hue lighting eco-system of bulbs, lamps, apps and switches, the 3D-printed Philips Hue table and pendant luminaires are made exclusively to pre-order at www.meethue.com, commencing March, 31st 2014 for: pendant EUR 2.999 and table EUR 2.499. Created by German design duo, WertelOberfell, the Hue 3D-print luminaires are inspired by images from nature. The pendant lamp acts as two shells that encapsulate the Philips Hue light source, generating stunning artistic effects. “We liked the idea of using the geometry seen in the eyes of crustaceans and insects then reversing them so they become light emitting cells rather than light gathering cells,” explains Jan Wertel. “This is a complex design that could not have been produced before 3D printing. The result is an exquisite light effect that transforms a lifeless living space into a colorfully lit ode to nature,” adds Gernot Oberfell. Conceived by Danish design duo, Strand + Hvass, the Hue 3D-print luminaires are “inspired by shadows you see when the spring sun shines through naked branches,” explains Christina Strand. 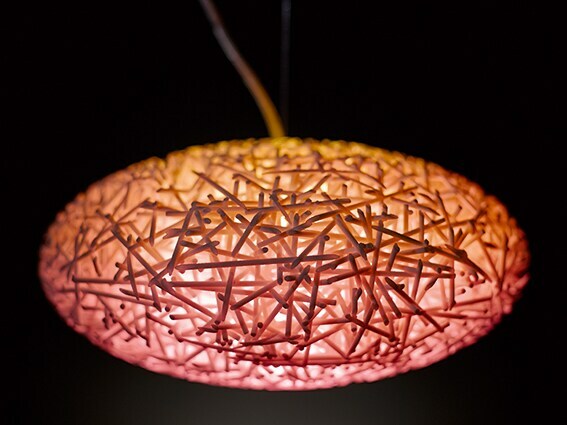 “This was translated into a complex design, only possible when 3D printing is combined with Philips Hue. Over 3,000 sticks are intertwined around the Hue light source, recreating a captivating scene from nature,” Strand continues. The Philips Hue 3D-print luminaires will be on display at the Light and Building show in Frankfurt from 31st March – 4th April 2014. *IFTTT – If This Then That is an online automated service that lets you create recipes with your Philips Hue. Smart starts here: New Philips white light blinks when your team scores!